Store anything from shake powder and healthy snacks to vitamins and loose change. 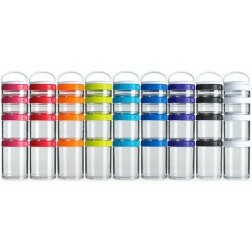 These containers connect using a special Twist & Lock ™ system and are designed to fit inside the SportMixer ™ and Blender Bottle ™ for better portability and storage. 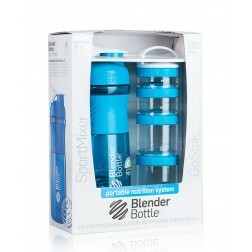 BlenderBottle SportMixer Combo Packs combine BlenderBottles with the GoStak supplement container system for a portable, versatile nutrition system.